Dr. Richard Wayne Skaggs, William Neal Reynolds and Distinguished University Professor was on the faculty of the NC State University Department of Biological and Agricultural Engineering for 42.5 years. hr retired in 2012. He has made extraordinary contributions to the advancement of Agricultural and Biological Engineering as a teacher, mentor, researcher, and national leader. He is recognized globally as the expert in drainage and subsurface water management. Skaggs was born and reared on a farm in eastern Kentucky. He attended the University of Kentucky where he received the BS and MS degrees in Agricultural Engineering in 1964 and 1966. He joined NC State University in 1970 after earning the PhD from Purdue University. Wayne advanced quickly through the ranks to Professor before being named William Neal Reynolds Professor in 1984. He was also elected to the National Academy of Engineering in 1991 and named Distinguished University Professor that same year. N.C. State presented Skaggs its highest faculty recognition in 1994, the Alexander Quarles Holladay Award; and in 1997, he received the University of North Carolina’s highest award, the O. Max Gardner Award. He received the Alexander von Humboldt award for contributions to U.S. agriculture in 1997, one of only two engineers to ever receive that award. During his professional career, Skaggs made pioneering contributions to the understanding and utilization of complex soil, water, and plant systems. His work includes the 1978 development of the water management model, DRAINMOD, which effectively combines fundamental methods derived over several decades by soil physicists and engineers to create a tool that quantitatively relates drainage design parameters to the actual objective of the water management system. This model has effectively bridged the gap that existed between theory and practice and is now used globally by consulting engineers, researchers and government agencies to predict the performance of drainage and related water management systems. The model has been extended by Skaggs, his students, and colleagues to predict the movement and fate of nitrates, salts and other solutes in the soil profile; to evaluate and assess the hydrology of wetlands; and most recently to predict soil carbon, nitrogen dynamics, and plant growth in drained forests and agricultural ecosystems. Dr. Skaggs has made contributions to international development of agricultural water management and hydrology. He has held short-term research, teaching and consulting positions in 10 countries (e.g., Egypt, India, Israel, Italy, Malaysia, Turkey), and presented invited lectures and keynote addresses in many others. The research project he initiated in Uruguay on hydrologic impacts of afforestation is ongoing and was recently expanded to include bio-energy crops. A dedicated professor who has exemplified the highest spirit of teaching and mentorship, Skaggs has served as major professor for 24 masters and 40 doctoral students who have gone on to highly successful and productive careers. He has served as technical consultant on drainage and water management issues for numerous state and federal agencies and foreign governments. He has authored or coauthored more than 420 refereed journal articles, book chapters, conference proceedings, extension publications, and technical reports, as well as 2 books. He co-edited (with Jan van Schilfgaarde) the American Society of Agronomy 1328 page, 42 chapter monograph, Agricultural Drainage, which serves internationally as a principal reference for drainage theory and practice. Among Wayne’s many significant publications are those that have won 7 ASAE Paper awards, with the most recent being named in May of this year, and 3 ASAE Honorable Mention Paper awards. He has been invited to share his expertise and research findings at hundreds of invited lectures and keynote addresses. In addition to those already named, Skaggs has received numerous national and international recognitions of his meritorious contributions to the advancement of soil and water engineering. These include the ASAE Young Researcher and Hancor Soil and Water Engineering Awards; 3 USDA Superior Service awards; membership in The Ohio State University’s Overholt Drainage Hall of Fame, University of Kentucky Engineering Hall of Distinction, and Purdue University Distinguished Engineering Alumnus. He was presented the Gamma Sigma Delta International Distinguished Achievement in Agriculture award (1999), and the Council for Agricultural Science and Technology (CAST) Charles A Black award in 2009. 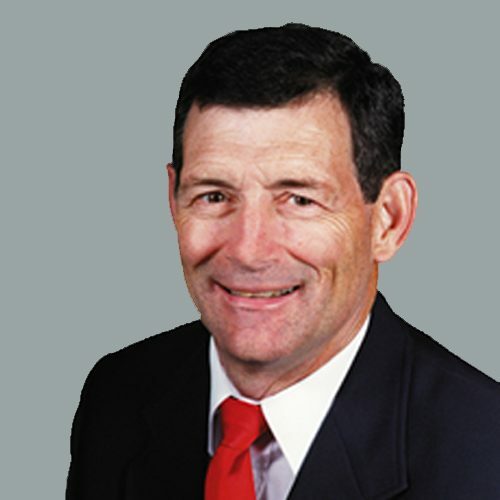 Wayne is a Fellow of ASABE, and has received two ASABE Gold Medal Awards, the John Deere Gold Medal (1993), and the Massey Ferguson Educational Gold Medal (2009). Skaggs served as President of the ASAE (currently ASABE) for 2001/2002. A long-term forest hydrology and water management study was initiated on three experimental loblolly pine forests in Carteret County, NC in 1988. Data were collected on the research watersheds for 21 years to quantify effects of silvicultural and water management practices on hydrology and drainage water quality. Beginning in 2009 a fourth watershed was added and treatments are being established to study the environmental impacts of growing a biofuel crop (switchgrass) between the rows of pine trees. This project will support collection and analysis of data from the Carteret and Kendricks Creek sites to determine the effects of treatments on hydrology and drainage water quality. DRAINMOD is a computer simulation model developed by Dr. Wayne Skaggs and colleagues at the Department of Biological & Agricultural Engineering, North Carolina State University (NCSU), Raleigh, NC. DRAINMOD predicts effects of drainage and associated water management practices on water table depths, soil water regime, crop yields, transport and fate of nitrogen, salinity, drainage effects on adjacent wetlands and hydraulic capacity of systems using wastewater land treatment. DRAINMOD can be used to simulate the performance of drainage water management (DWM) systems. Instructional materials for the application of DRAINMOD have been developed at NCSU and are used in advanced courses on drainage and water management. This contract will provide NRCS access to those materials. It will also develop four additional course modules to cover the application of DRAINMOD for planning and design of drainage systems and DWM, subirrigation, and the use of a short cut method to predict the effect of DWM on annual Nitrogen losses in drainage waters. A method developed at N.C. State University can be used to determine the lateral effects of drains on wetland hydrology of adjacent lands. Application of the method for a given location/climate requires one-time DRAINMOD analysis to determine T25 values, which are characteristic times required for 25 cm of water table drawdown in threshold wetlands at that location. Work under this proposal would determine T25 values for three states. T25 values would be obtained for 5 locations or climate zones in each state. Values would be obtained for 5 representative soils, 5 drain depths, and 4 surface storages at each location. The T25 values would be inserted in the software that applies the method, such that they could be automatically accessed for given locations. The overall objective of this project is to evaluate the environmental effects of large-scale forest bioenergy crop production and utilize these results to optimize cropping systems in a manner that protects the important ecosystem services provided by forests while contributing to the development of a sustainable and economically-viable biomass industry in the southeastern U.S This project consists of plot-scale and watershed-scale experimental studies linked with a modeling effort that will enable us to apply our experimental results broadly across the region. Watershed and plot-scale experiments have been initiated. Matched-watershed studies have been established in North Carolina, Mississippi and Alabama. Each installation includes at least four, small, operational-scale sub-watersheds that are instrumented to provide data on stream discharge, weather, water table and water quality. Biomass treatments that will be applied to the sub-watersheds will represent a spectrum of biofuel management intensities: Typical pine plantation, about 15 years old, Young pine, high value timber regime, Young pine, woody biomass removal, Young pine, interplanted with switchgrass, and Switchgrass only. Additional projects are being conducted to study soil productivity, nutrient and carbon cycling, biodiversity, economics, BMP guidance, and safety. With the emergence of biofuels as one of several alternatives to fossil fuels, land resources, that have been traditionally used for food production, could eventually be used for both food and energy production. To sustainably optimize the use of the limited land resources, ?engineered? crop production systems are critically needed to maximize yields, minimize production costs, conserve land and water resources, and minimize negative environmental impacts. We propose to develop and assess a ?smart? water management system to increase crop yields and profits, conserve water, and improve water quality for crop production systems on artificially drained lands. The system is comprised of : 1) a ?smart? irrigation technique that is automatically triggered based on the soil moisture in the root zone or the water table depth; 2) an automated controlled drainage system that automatically adjust the elevation of the outlet of the drainage system based on water table depth and precipitation. The proposed research will be conducted on two research sites in Eastern North Carolina (currently instrumented). There will be three treatments: conventional (unmanaged) drainage as control, manual (traditional) controlled drainage, and smart water management system (automated controlled drainage combined with smart irrigation). These systems will be monitored to measure hydrologic and climatological data, plant growth and yield data, and nitrogen budget (in plant, soil, and water) data. Farming practices and costs of implementation and maintenance will be documented. The data will be used to assess the performance and feasibility of the system and will also be used to test and further develop the DRAINMOD suite of models (DRAINMOD, DRAINMOD-NII, and DRAINMOD-DSSAT).